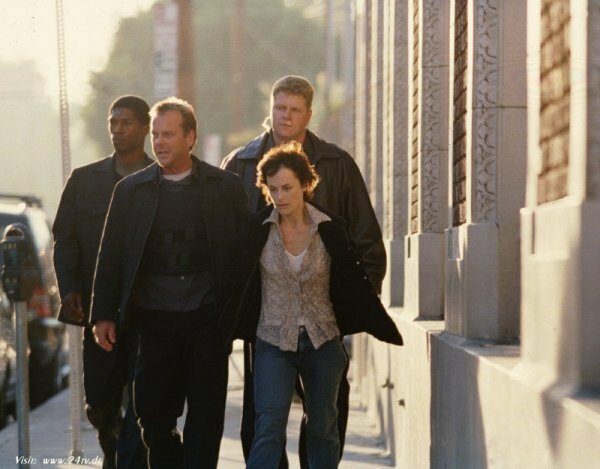 Sarah Clarke & Kiefer as Nina Myers & Jack Bauer. . Wallpaper and background images in the 24 club tagged: 24 2002 season 2 photos promos stills sarah clarke nina myers kiefer sutherland jack bauer. This 24 photo contains business suit. There might also be well dressed person, suit, pants suit, pantsuit, carriageway, penal institution, and penal facility.